Taste in music often varies, but they are all connected to high-end, detailed and feature-rich headphones. Classical music is specific, which often makes it challenging to pick a perfect pair of headphones, especially on the internet. Most of the modern headphones today feature bass-rich features, which can hide the small details that make classical music so powerful. Fortunately, today we have compiled a list of the best headphones for classical music 2019. What to consider when buying the best headphones for classical music? Classical music offers a different experience compared to other genres. That said, receiving the full experience, its details, instruments and the right subtleties of classical music is not so easy to reach. For that to happen, your ideal headphones should aim to keep your music as organic as possible. In terms of over-ear and on-ear designs that we will focus on in this article, different models are equipped with different kind of transducers and other components that contribute to making music sound clean and natural for every genre. Although most headphones today are focused on delivering deep and dynamic bass to meet the demands of modern music. it’s important to find headphones that are low in harmonic distortions, but also focus on mid-range and defining treble. When it comes to design, it can highly determine the price of the headphones. Why? Because it’s no secret we often prefer laying back on our couch, tucked in our warm blanket and losing ourselves in high-quality music. If you are a true fan of classical music, as well as often seen epic mixes on YouTube, it won’t surprise us if you spend hours listening to your favorite music. That said, comfort is more than crucial for your enjoyment. Try avoiding leather build, as it tends to make your ears sweat. Instead, go for faux-leather coverage, as well as some cushion filling or mesh. Sometimes opting for comfort is better than opting for quality. Open-back vs. closed-back – What should you choose? Open-back and Closed-back – Headphone designs are often classified into two types. Headphones with closed-back design are equipped with a transducer that is isolated and enclosed into a housing. That said, all the sound it produced is targeted straight towards your ear. The main feature of such headphones is a passive noise isolation, which personalizes your musical experience, not letting the music out, nor letting the outside noise in. Such headphones are often used for workouts, studying, reading, traveling, you know, places and situations where you want to be alone with your music. The open-back headphone design is bad because everyone will hear what you’re listening to if you’re playing music high enough. However, the sound that you receive is no longer enclosed into the shells and air circulates in a way to create more detailed, spacious, and dynamic sound. So, which one design should you use for the best headphones for classical music? Open-back, because we are focusing on a rich and mesmerizing music experience. Of course, if you are often in loud environments, you can also opt for closed-back. You’re the one making the final choice. When it comes for choosing the right headphones for a specific genre, Grado is a perfect firm. For less than $100, you can find all the joy of listening to crystal clear treble with an open-back design that Grado SR80e has to offer. If you are listening to music rich in strings, woodwinds and choirs, Grado SR80e is a perfect choice for you. It features a minimalistic, vintage design with extremely convenient cushioning for wearing. More importantly, this particular model offers replaceable foam earpads, which is important when you spend a long time listening to the music. The music it produces is soft for the ear, and won’t be too harsh on it, regardless of the artist you opt for listening. If we were to choose the greatest value out of headphones we reviewed MSR7 from Audio-Technica would be among the firsts. Its transducers deliver a dynamic, light, and soft sound that creates pure enjoyment among classical music lovers. However, for those who prefer more spacious and louder composition, keep in mind that these headphones feature closed-back design. Nevertheless, for its price, the sound is still spacious, especially in the mid-stage and treble. The sound is clear and detailed, and that’s exactly what we are looking for in the best headphones for classical music. 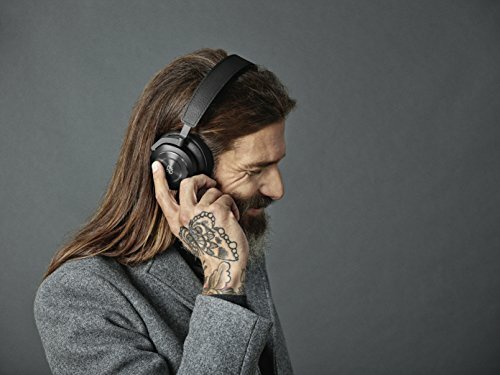 There are available in several options – black, gun-metal grey, as well as the noise-cancellation option. The airy and detailed soundstage is what attracted us to these headphones. They are also quite comfortable, so you might as well want to get lost in your soundtracks for hours. – Don’t forget to eat! We have already highlighted the great performance in ATH-MS74 previously, moreover, they are the most budget-friendly option that you can find. The premium build, makes them look outstanding, as well as cushioning that makes them comfortable for extended listening experience. The headphones themselves are vastly focused in the mid-range and highs, which makes them outstanding for listening to classical music. The highs however, lack the balance that the midrange has, which is their main flaw. Sennheiser is a brand that can’t go unmentioned in the world of headphones, especially those with balanced audio which is exactly what we are looking for in the best headphones for classical music. By, far the HD 598 is the best pair of headphones you can possibly use to enjoy music. The headphones offer the open-back design, for more spacious and accurate sound. It has amazing treble and soundstage in general. Above everything, the headphones are extremely comfortable, equipped with an ergonomic padding across the headband, so the entire head has support for extended listening experience. They, however, have a slightly hefty price-tag at $400, although every bit of its features is worth the hassle. If you want to listen to high-quality classical music, Sennheiser HD 598 is worth checking out. Get the Sennheiser HD 598SR Open Back Over Ear Headphones for $249.95 at Sennheiser.com. Get yours today! They are available in ivory and black colors, so everyone can adjust their color. Also, we can take a minute to appreciate that Sennheiser made an open-back headphone, given that we have mostly been reviewing models that have closed-back design, and superb sound isolation, as well as models with active-noise cancellation. There is another open-back design headphone from Sennheiser that deserves all the praise, and that’s HD 650. They are quite similar to the aforementioned HD 598, except that they offer much more complexing and sight tackling experience while listening to the music. The details in the music are incredible, and simply take you to another world. The balance of the soundstage is amazing, as well the dynamic bass, that doesn’t overflow the rest of the soundstage. Like the previous model, this one is also known for great comfort zone, allowing you to experience music without feeling any fatigue. If you prefer this, more advanced model or you couldn’t find the previously mentioned model in the shop, make sure to check out this one. Even though we said that closed-back design could limit the extensive dynamics that classical music has to offer to listeners. Beyerdynamics DT 770 Pro has a lot to offer. It is an amazing multi-purpose headphone model that will work well with classical music, although if you are professional that is looking for a back-up in the studio, it will work flawlessly. The uncompromised soundstage, dynamic, and not over-attaching bass, detailed treble are all the reasons to why you should purchase it. The headphones are made out of durable and robust material and sport circumaural and replaceable ear pads that were made out of velour. Velour is a material that delivers comfort and enjoyment for extended periods of music listening. It is also equipped with a durable, coiled cable to extend durability. Since we offered a pair of headphones with a closed-back design in our listing, Beyerdynamics DT 990 Pro, open-back over-ear headphones are worth taking a look at. It’s another pair of multi-purpose headphones, and thanks to its open-ear design, they will provide exceptional soundstage, that is rich in details and spacious enough to fill you with balance in both terms of midstage and highs. Sadly enough, the bass is pretty strong, which may block the full purpose of classical music, although they are recommended for all genres. The headphones are available in two colors, grey and black, and feature a similar design profile of the previously mentioned headphones. It’s equipped with soft and gentle velour ear pads so that the high wearing comfort will be ensured, without feeling fatigued at the end of the listening experience. The headphones also come with a single-sided, coiled cable for practical and durable use. Previously mentioned headphones are amazing, although not as amazing as possibility of flexible movement across your apartment or house while enjoying high-quality classical music. H9i Bluetooth headphones, like their name suggests come wireless, and allow you to move 33 feet away from the playing source with strong and reliable Bluetooth connection. If you want to feel isolated with the music that you are listening to, there is Active Noise Cancellation that can be activated at all time. Transparency mode, lets you get back to the normal listening experience, although more spaciousness is achieved through the aforementioned open-back headphones. For those looking for the regular listening experience, when it comes to the classical music, these headphones are amazing. However, if you need to use them for multiple purposes, its new bass port for deep sound will greatly come in handy. The soundstage is great, along with the trembling, ground-shaking bass for support. Don’t worry about comfort and durability, the headphones are fairly durable, made from ergonomic materials that ensure high-quality comfort. There is also a 18 hours battery that will keep the headphones run on juice for a long time. 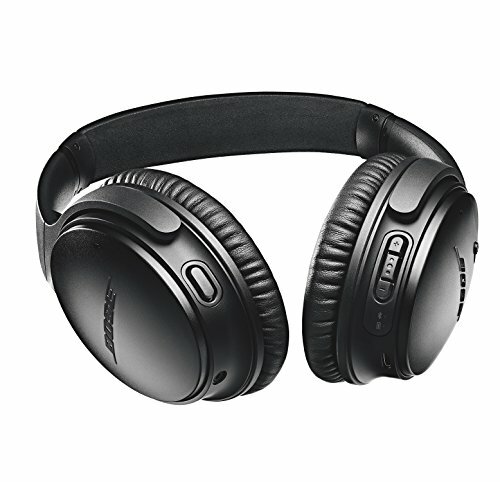 Bose QuietComfort 35 headphones were praised for us for a long time. It’s another pair of headphones equipped with inline microphones for advanced noise-reduction. Moreover, the model is equipped with a connect app, that contributes to a vast, uncompromised experience. The soundstage is rich in details, and sufficiently loud to fill your ears with pleasant sound, as well as the dynamic bass. They will work perfectly for someone who likes to listen a rich selection of genres while wanting to be on the move too. The headphones provide up to 20 hours of wireless use, and pack a rechargeable battery. 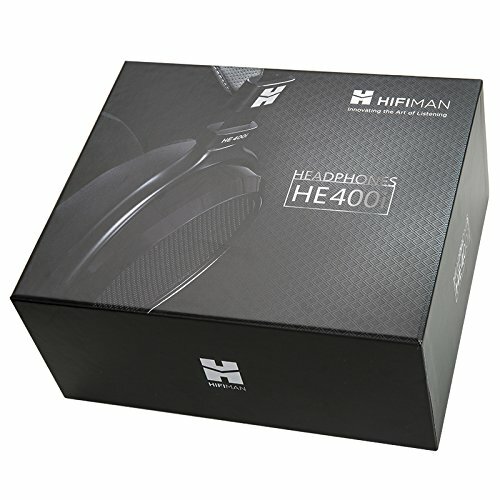 Hifiman has to offer a lot when it comes to headphones. Its HE-400I audiophile headphones are what caught our attention. They feature ergonomic and portable design for an over-ear headphone and come in two colors – dark blue and black. The headphones are designed for comfort, sporting hybrid ear pads mixed with pleather and velour. That said, a listener is left to enjoy the audio world for hours without feeling fatigued. The headphones have a fairly detailed and warm soundstage, rich and dominant vocal and discreet bass. Nevertheless, it’s sad that you won’t be able to get away too much from the source of music, as a cable is uncomfortably short, and perhaps not as durable as it should be. You need to have a quite refined taste in music to know what headphones work the best. We can make selections and selections that we find most suitable for classical music, but everyone’s ear is individual and reacts differently to sound. That said, make sure to test the headphones before buying them, play your favorite music, test different frequencies and volume and you’ll know what works the best for you. Since you are here, make sure to check our other headphone roundups, perhaps you’ll find something that will suit you well.